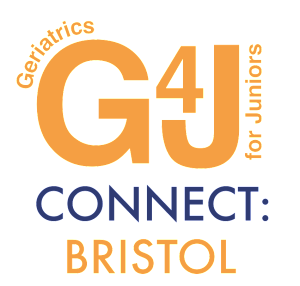 We’re pleased to announce that registration is now open for our third G4J Connect event, which will be held in Bristol on Thursday 26th March 2015, in the Learning and Research Building at Southmead Hospital, from 6.00pm to 8.30pm. The programme will be confirmed shortly, but will include practical, engaging and entertaining sessions on various aspects of the clinical care of older patients, as well as an interactive forum on “Med Reg Fears” – if you’re a junior doctor in the region and you look after older patients, you won’t want to miss this! Registration will be free, but places are extremely limited and will be allocated on a first-come, first-served basis. ← An Award for AEME!